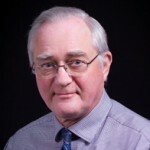 Peter Mason, President Peter Mason has more than 30 years of experience in the development of printers and copiers including more than 20 years at Xerox Corporation. He is an early developer of laser printing and holds several of the basic patents in the field. He was directly responsible for the first commercial xerographic laser printer, the Telecopier 200. While at Xerox he held positions developing and managing product development programs. He also worked for several years in the famed Xerox “Skunk Works.”Mr. Mason’s experience includes dry and liquid printing systems, ionographic and laser systems and direct printing technologies. He has formed and managed product development teams, and held ROI responsibility for development of printer systems, software systems and consumer electronics products. 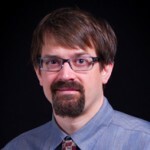 His technical expertise includes technology evaluation and selection, product architecture, program management, and monochromatic- and color-electrophotographic process physics with an emphasis on development and fusing. He maintains a close awareness of new products and technologies and their potential applications. Jim Mason, Chief Designer Jim Mason has over twenty years of experience in machine design, automated manufacturing and assembly, robotics, digital printing and printer system design. He started his career as a process engineer at Reynolds Metals Company, implementing a networked preventative maintenance work order system. From there he moved to Hansford Automation Systems, Inc. where he designed modular robotic assembly systems and created 3D animated manufacturing process simulations. While there he was the lead designer for a proposed industry standard redeployable robot-based assembly cell, commissioned by the National Center for Manufacturing Sciences and sponsored by industry leaders such as Cummins Engine, Kodak, and Delco. Jim was also responsible for the design of Hansford’s own line of flexible, reconfigurable robotic assembly components. While at XACTIV Jim developed a wide range of sophisticated electro-mechanical systems including an ATM/Kiosk check scanning module, automated-networked medication dispenser, lottery ticket printer, label printers, electrostatic charge analyzer, xerographic banner printer, automated sheet feeder, and a makeup dispenser with on-demand color blending. Jim was lead designer of an advanced technology demonstrator for a novel new high speed 3D printing system and associated digital manufacturing process. He also developed an electrostatic fuel cell electrode manufacturing process, electrostatic printing based, gradient doped, high power laser waveguide manufacturing process, electrostatic printing-based candy decoration method, electrostatic coating for advanced aerospace composites, and a novel method of coating pharmaceutical tablets using an electrostatic coating method. Jim also developed a drug eluting cardiovascular stent coating system, and a higher performing method of fabricating aerospace composites using ink-jet methodologies. Jim is a creative, prolific inventor. Jim earned a BSME from Kettering University (formerly GMI Engineering and Management Institute) with a specialty in machine design. Charles E. Synborski, Executive Vice President, Business Development and Administration Chuck Synborski has over forty years of experience in the optical, electro-optic, microscopy, factory automation, semiconductor capital equipment, and laser technology marketplaces. He began his career as a product development engineer at Laser Precision Corporation, and later held executive positions at Tropel (Director of Sales, Marketing & Product Development), The Perkin Elmer Corporation (Director of Marketing), Carl Zeiss Inc. (Manager of Marketing and Sales), Hansford Automation Systems (Vice President, General Management Committee) and Melles Griot (General Manager). He is a past Optical Society Board Member, Chairman of the OSA Industrial Business Committee, and member of the Finance Committee. He served as a Board Member of the Rochester Business Alliance, International Business Council. 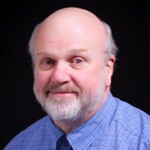 He previously served as a Corporate Board Member at Ormec Inc. and Hansford Automation Systems, and was Chair of the Optical Lithography Advisory Board at The Perkin Elmer Corporation. He also served as a member of the Business Advisory Committee at the Center for Automation Technology, Rensselaer Polytechnic Institute. He holds a Bachelor of Science in Physics from Syracuse University, Utica College Campus, and a Master of Science in Optical Engineering from The University of Rochester’s Institute of Optics. He also received a Certificate from the Consortium for Executive Development, Babson College, Wellesley, MA. Mr. Synborski has published numerous technical papers and articles in the areas of optical metrology, interferometry, IR materials characterization, optical lithography, and UV curing. 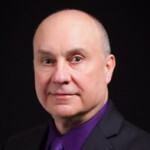 Ernie Thompson, Manufacturing Director Mr. Thompson joined XACTIV, Inc. in August 2010 after a successful career as VP and General Manager of CPAC Equipment Inc., a regional manufacturer of dry heat sterilizers and related equipment. In addition to his management and operations responsibilities, he has been active in product development and has successfully launched several new products into the photographic and medical markets. He has also managed the acquisition of medical equipment manufacturers and integrated those companies and products into CPAC Equipment Inc.’s manufacturing plant.Ernie has an MBA from Rochester Institute of Technology, with concentrations in entrepreneurship and e-commerce. He was active as a board member of the Western New York Product Development Management Association, former board member of High Technology of Rochester, and former member and chairperson of the Finger Lakes Manufacturers’ Council.